on theUSCF top ten rating lists. I am writing this article based on the December 2006 list. I have a pretty good feel for these players, as five of the top ten attended the first US Chess School Session in 2006, while most of the others competed regularly in the New York Masters. I had a great seat while watching them go from 2200 up to 2400 or 2500. What would be considered a success for our juniors? Any American player that achieves the GM title should be extremely proud. Very few young American players in the past decade have been able to earn the GM title--The good news is that there are a multitude of players on this list whom I believe will earn the title and help to end our relative drought. The bad news is that while most of these players have the potential to be a Grandmaster, they are very unlikely to be one of the top players in the world. 1. Players around the world are becoming Grandmasters at an earlier and earlier age. 13-18 year old GM's are commonplace these days. You can easily become a GM, yet never break the top 300 in the World. If you become a GM at the age of 20-21, you are already way behind the world class players, and still have a lot of work to do to get to that level. It's much harder to do the required work at 21-25 than it is at 14-18. There are of course exceptions to these guidelines, but in general they hold true. Despite this, everyone on this list should be praised for their fantasic progress and devotion to the game. To break into the top ten, they clearly opted out of PlayStation sessions (at least some of the time!) to study chess and play in weekend tournaments. I want to be realistic and honest in this column. In the past 20 years there have been many young prospects who were expected to one day fight against the best players in the World, but only Hikaru Nakamura has been able to fulfill this prophecy. So it's best not to get carried away and annoint our young stars as World Class players just yet. As in all fields, there is an exponential difference between being very very good, and being one of the very best. Just call this Hikaru's home for the next couple years. Hikaru is currently 19, and until he turns 21, I'd say there is about a 99% chance that he will occupy this spot, and this is probably being a bit conservative. It won't help that by the next rating list, Hikaru is due to gain about 20-30 points. Hikaru is the first homegrown American talent of his level in decades. Recently Hikaru competed in the ACP Rapid knockout event, losing to Super GM Boris Gelfand 2-0 in the first round. Despite this loss, Hikaru has the potential to be one of the top 20 players in the world, and it should be fun for all American chess fans to see whether he can make it to the elite level. He is already a legend on the Internet, with some of the highest ICC blitz ratings of all time.To read more about Hikaru, check out the regular top ten write-upsevery even numbered month of the year. For the rest of the juniors in the nation, they should consider this to be the number 1 spot, as there is literally almost zero chance of surpassing Nakamura. For now the strongest player ever born in New Hampshire, Josh Friedel, has taken that spot. Josh has a fantastic attacking instinct, probably acquired due to spending a lot of time working with the world class attacker, GM Larry Christiansen. The good news about Josh is that he's seriously focusing on becoming a professional chessplayer. This is often rare in today's society where there are so many opportunities in so many fields. He has forgone a college education in the hope of becoming one of the first young American GM's in quite a while. It looks like he's succeeding in this goal, with 2 GM norms already in the bag. He also showed Hikaru that he can't underestimate the other juniors too much, as he scored a surprising upset victory against Hikaru in Round One of the 2006 US Championship. Lately Josh has been having good results. He moved to San Francisco about six months ago and led the San Francisco Mechanics to the USCL Title. He recently tried to get his third and final GM norm at the East Bay Masters, but was unsuccessful. The key for Josh is not just to make the GM title, as he is a near certainty to do so, but it's to get solidly over the 2600 mark and reach the top 10 in the Nation. The difference between 2500 and 2600 is mind blowing. There have been a large number of juniors in the past years whom have reached 2500, yet very few of them get solidly above 2600. Once someone gets above 2600, then you know they are a serious player, but until then they really have no chance to compete on an even footing with the elite players in the nation. I believe Josh has a good chance to reach 2600, but that it will require a tremendous amount of effort to stay comfortably at the 2650 level, and if he could reach 2700 he would exceed all his expectations by far. 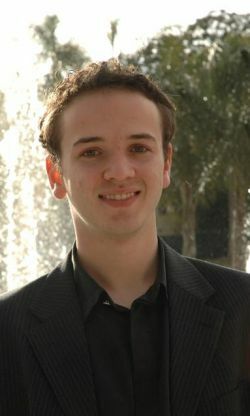 Lev achieved his second GM norm at the East Bay Masterswith a fantastic 7.5/10 score. (Ed.Note-Jesse Kraai from New Mexico also won his second GM norm at the East Bay Masters-look for his article on the event in early February. )It's now a serious race between Milman and Friedel to see who can achieve their third norm the fastest. Milman may be handicapped in this race somewhat, as he's a student at Duke University and thus has less time to focus on his game. He did play in the US Chess League, yet he faced an extremely tough field and didn't fare as well as expected. He redeemed himself at the end of the season with two key victories, helping Carolina to squeak into the playoffs. Lev played for Duke at the Pan American Intercollegiate Championship, in which he scored 5.5/6, gaining about 10 USCF points in the process. Lev is a natural attacking player, just like Josh. Perhaps the main difference is that Lev plays more dynamic opening lines. While Friedel favors the solid 1.e4 e5, Lev tends to veer towards various Sicilian Defenses. Salvijus is two years younger than Josh and Lev, which puts him in a pretty nice position, as these are the years in which chessplayers improve the fastest. The bad news (for US Chess at least) is that it sometimes seems as if Sal is more focused on his schoolwork than chess. He was very active over the summer, but now that the school year has begun, he has played only one tournament in 4 months. The good news was that he did gain 10 points in that event, which will be counted towards the next list and put him closer to the 2500 mark. Sal usually plays 1.d4, and is a dynamic player, favoring various Sicilian Defenses. Robert Hess, coached by GM Miron Sher, is a fantastic talent. He is a very tricky player who can play nearly any type of position. The key number for Robert is not his rating, but his age, as at only 14 years old the current US Junior Champion has a fantastic chance to become a Grandmaster at a young age. Robert does take his studies very seriously, as he has just entered high school. He also plays basketball and football. It remains to be seen what impact this will have on his chess career. If Robert keeps playing as much as he has been the past few years, he is a near certainty to achieve the GM title. However while I think that he has the potential, because of all the interests dividing his time, I would guess that he won't become one of the top ten players in the country. Alex is a tremendous chess talent, who won the first Gold Medal in years for the USA at the World Youths. Unfortunately he has stagnated somewhat since then, as I believe that with the right training and focus he could already be around 2550-2600 USCF. Alex has a tremendous intuitive feel for the game, however I believe that he is simply not focused enough on becoming a top level GM, and so I wonder whether he will ever reach this level. I hope to be proven wrong, because Lenderman is really one of the most naturally talented young players to play in this country in a long time. I mistakenly wrote "IM Igor Schneider" up above, when I looked him up on FIDE and realized he has not yet earned the title. Igor could work together with his college teammate, John Bartholomew, and earn the IM title in his sleep. While Igor is a talented player, he is a bit older than guys like Hess, Bercys and Lenderman, whom are all higher rated than he is and there is no guarantee that they will become GM's. This combined with the fact that he's starting college and thus taking on many more responsibilities, may make it difficult for him to earn the GM title. Igor has a universal style and has a few specific opening systems worked out very well. I know that he worked with Rafael Klovsky in his youth, and learned such openings like the NoteBoom defense against 1.d4 and the French. Surprisingly these lines, which Igor played when he was extremely young, are still the main focus of his repertoire. Joel's main strength is his desire and will to win. He is probably not as naturally gifted as guys like Hess and Lenderman, but when he is really focused, he will put his heart and soul into a game like few players can. I saw him playing in the blitz tournament that was set up at the 2006 US Chess School. It seemed like each blitz game was life or death to him, with all of his emotions being wrapped up in the game, and with him being virtually unable to speak after a tense game had just finished. You could just feel how badly he wanted to win and prove himself against the other top youngsters in the nation. On the flip side, he can often seem distracted and less focused, as I realized while constantly playing next to him at the 2005 US Open, in which he seemed to spend more time away from the board than at the board during his games. It's all a question of whether the hyper focused and determined version of Joel will be the one playing the majority of the time. There is no question that Joel has a great deal of ability, but it remains to be seen just how far he will go. The next year or two are crucial. If he is just 2400-2420 in another year, he is probably not on the right path towards fulfilling his potential. Joel has been playing a bunch of tournaments recently and has been bouncing around between 2360 and 2390 and hopefully can make a major push soon. Joel also comes from a strong chess family, as his older brother Jake is rated around 2400. Mackenzie is a pretty solid player from the East Coast who generally doesn't get much press coverage as he seems to float around 4th-5th place at whichever age bracket he is in. He was coached in New Jersey by Michael Khordakovsky. He is currently a freshman at New York University. Mackenzie has a decent amount of talent, but suffers from extreme fits of time trouble. If he doesn't cure this psychological weakness and become a better practical player, he will have difficulty achieving major chess success in the future. Ray Robson is everyone's favorite choice for most likely to become the next Hikaru Nakamura (He is even Hikaru's choice!). You have to be careful putting some expectations upon people, but I have seen Ray's talent with my own eyes and I do agree that he has a tremendous ability. I'd say that he is clearly talented enough to get the GM title before the age of 16, but until he does so one should be careful placing such high expectations upon him. Ray possesses a maturity for chess that most young players simply don't have. He has the drive, and the work ethic as well. Perhaps most importantly, he seems to have a lot of fun playing and talking about chess. He has gained a bunch of points lately and is expected to be around 2320 on the next rating list. He will probably be joining the top 10 junior list within six months. Marc Arnold is a young player that always seems to do well, but somehow never gets credit for being a great talent. It could be that most people don't think he is serious enough about chess, but you simply don't become 2300+ at 13 years old without tremendous ability. It'll be interesting to see what he does in the future. Tatev is unlikely to become one of the top players in the country, however has a fantastic chance to be one of the top women in the country (Especially since she already is!). What the US Olympiad Team really needs from her is for her to make the push to the 2400-2500 level, and thus become an integral part of our Olympiad Squad. She is reaching the age when schoolwork becomes very important so it'll be a difficult challenge for her. There are of course many other talented juniors that have the potential for stardom. I hope to cover some of them in the future, and also look forward to some new names joining the top 10 list. October was the final month for Danny on the Junior List, and he came in ranked at 9th place. Daniel has left the world of junior chess, and into the world of adulthood. He has actually further into adulthood than myself as he is already married with a one year old child! He also runs a chess program in Phoenix called American Chess Events (link to www.americanchess.net) He recently hosted the US Chess School at his hometown in Phoenix and managed to win clear first a strong blitz tournament comprised of many of the top young players in the country and GM Gregory Kaidanov himself. Danny has been at around the same rating for quite a few years now but is trying hard to make the push towards 2500. It remains to be seen whether Danny can unravel the mystery that has kept him in the 2400-2420 range for the past three years. Unlike a lot of young players, he's continuing to work very hard on his game and thus there is a decent chance he could see more success at a later age than most. He missed an IM norm recently at the East Bay Masters by scoring a miserable 0.5/3 in his last three games, in a spot where I believe he needed only one point out of three to make the norm. He had a great start to this tournament however, with fantastic attacking wins over GM Panchanathan and GM Sharavdorj. Danny is a staunch practitioner of the English Attack against the Sicilian and has had many great successes in this attacking formation. IM Greg Shahade is the founder of the U.S. Chess League and the U.S. Chess School. The opinions in this article are entirely his, not the USCF's. Nakamura Wins in VegasTop Ten Chess Resolutions UTD Dominates Pan-Ams Four Way Tie in Eastern Open Our Man Down in OdessaNakamura ExclusiveGM Joel on the Quietest DrawU.S. Championship News U.S. Chess School Report Bid for US Champs!Wijk In Action!Radjabov Off to Early Lead in WijkIvanov and Ehlvest Win Liberty Spotlight on Julio Becerra Team Spirit Season Dr.D's Check-UpHalftime at Wijk Topalov Takes LeadChills and Thrills in Agoura HillsUpdate on Our Top Ten Juniors Corus Heats UpGM Joel on the Grand Prix Svidler Beats Topalov in Wijk Americans in Gibraltar Corus Draw Sets up ShowdownThree Way Tie in Corus East Bay Fight Club Five New FIDE Titles for the U.S.